By this point in time you have probably heard the mountains of fan boy hate about how Final Fantasy XIII is possibly the worst game in the entire series and how the franchise is going down the whole. While the last entry in the series wasn’t an awful game many of the statements given were correct about it, the number one statement being that it didn’t feel like a Final Fantasy Game. With Final Fantasy XIII the developers decided to change everything about the series to try and keep up with the current generation of games, only to realize that it wasn’t what the audience wanted from them. While a lot of games today have become very fast paced and combat oriented Final Fantasy is a series that needed to stay with a lot of the things that made it great. XIII-2 is an excellent entry in the Final Fantasy franchise but you probably won’t get as much pleasure playing through it as those who played XIII. Basically what Square Enix did with this game is decided to apologize for all the mistakes that upset consumers from the last game and fix them in this games This is greatly noticed within the first playable moments. 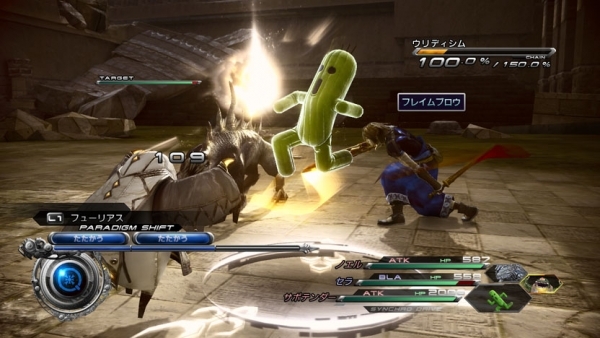 One of the biggest problems with XIII is that the game removed a huge part of the Final Fantasy series which is exploration, the game limited where you go so much that it became fights in between point A and point B just to get to another cut scene. Luckily this is fixed and in the entire play through there was not one moment where you are stuck going down one path. 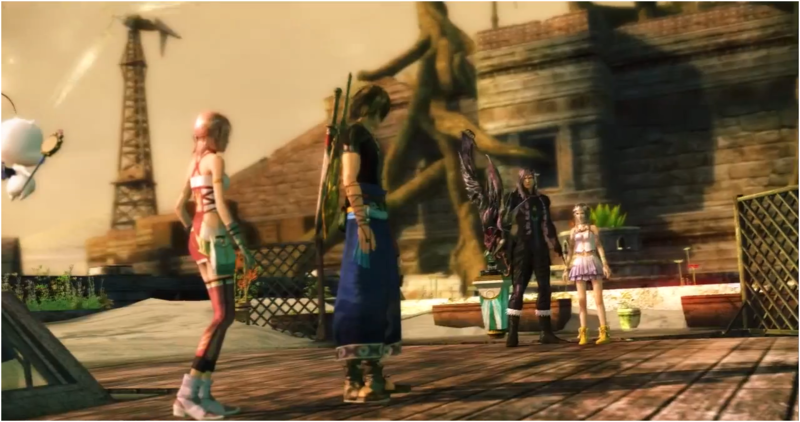 Final Fantasy XIII-2 revolves around the Historia Crux in which Noel and Serah travel through time, while one can play through the game without worrying about all the locations in the crux there are many places that are optional to be explored. All of these areas have collectibles in them that give players advantages later on in the game (if you don’t want to spend hours on that final boss you are going to need a few fragments from each time). Each period have many monsters which can be used in the game’s updated battle system which is similar to the capturing aspect of pokemon which also adds another fun collecting aspect to the game. The other great thing about XIII-2 is that while Square Enix may have changed the wrong things of XIII, none of the good things have changed. The graphics from the last game are still some of the best of the consoles and the cutscenes will leave you breathless. The storyline is also pretty well done too, while some people didn’t like the somewhat broken story of the first game the sequel does it’s best to hold the story together. For those of you who didn’t play the first one there may be parts that aren’t understood because of how many references are made to the ending of XIII, but Caius and Noel’s part of the game are great all on their own. The only big disappointment I have in Final Fantasy XIII-2 is that the games amount of content is a bit smaller than the average Final Fantasy entry. While you could sink anywhere from 35-100 hours in a main Final Fantasy entry, this game can be completed within 18-20 hours, that is not 100% completion though. If you didn’t like XIII then I would definitely suggest checking out this next entry as you may feel less bitter towards Square Enix and the franchise. But I also have to say that sadly those of you who haven’t played XIII that you can’t appreciate how good of game XIII-2 is until you have played the original one which is basically a hit or a miss depending on your tastes. This is definitely a good game and puts the series almost back on track, remember we still are waiting to see how XIV turns out this year, but it’s not the best entry in the series.